Summer is fast approaching and with it comes great parties and fun times. If you think the corporate world is excluded from these shenanigans, guess again. Gone are the days when the office party was merely reserved for the season of sleigh rides and winter wonderlands. Whether it&apos;s a party to welcome, or say goodbye to hardworking interns, employee appreciation parties, or team building activities, corporate summer parties are trending in a big way! From the &apos;dos and don&apos;ts&apos; to the &apos;menu must haves&apos; here are a few tips that will ensure yours is as hip and happening as the Christmas party everyone still talks about. 2. Personalize It – Be willing to ask your employees what they want to see for the summer party, and don&apos;t be afraid to theme it. It&apos;s a shift Cuisine Unlimited&apos;s Chief Marketing Officer Emily Lavin says they have been seeing more often, and one they even encourage among their clients. "It makes the event more memorable," Lavin said. "We have a group that is hosting a summer luau party in one of the local parks here, and…as part of their employee team building, they are actually raffling a trip to Hawaii," she said. "So that correlates with the event theme and builds excitement." 3. Be Aware of Dietary Restrictions – As food allergies (and dietary preferences) become more prevalent, it is important to be aware of guests cannot, and will not eat. It&apos;s even vital to know where and how the options they can use are prepared. For example, prepare foods for people with allergies in a separate area and with separate utensils. "Even if there are no known dietary restrictions, we have begun incorporating vegetarian, vegan and gluten free options within our generalized menu to ensure we are covering a wide variety of dietary restrictions and that every employee has something they will enjoy," Lavin said. Know Your Caterer&apos;s Limitations – Do not assume your caterer provides a service. Being thorough avoids confusion and embarrassment on the day of your event. Inquire well in advance about their provision of glasses, plates, silverware, linens, rentals and even entertainment and a photographer. Also find out if they handle cleanup after the event. Cuisine Unlimited is unique in that they can be as full service as their clients require. "We can certainly just come in and drop off the food and beverage, or if need be, we can help facilitate finding a venue, scheduling activities, providing signage, décor elements, and also transportation," Lavin said. "So we…have a wide breadth of what we are able to provide to our clientele, which sets us apart." Now that you know what to do and what not to do to ensure your big event is a big success, here are the food trends that will ensure it&apos;s totally &apos;hip and happening&apos;! 1. Kids&apos; Menus – Some companies allow employees to bring their family, including kids to summer parties, but having a kids&apos; menu isn&apos;t enough. Being on trend means having healthy and appealing kids&apos; options. Cuisine Unlimited puts a healthy, creative twist on some classic comfort foods. A popular menu item is &apos;Ants On A Log&apos;. The common afterschool treat includes celery sticks filled with a nut butter (Cuisine Unlimited opts for almond butter because of peanut allergies) and dotted with raisins or dried cranberries. 2. Global Foods – Adding cultural diversity to your menu is certainly on trend, particularly Korean and Vietnamese infusions. They are a huge favorite in Salt Lake City with everyone from high-end restaurateurs to food truck operators serving up these dishes. 3. Beverages – Tea infused is the way to go. A Cuisine Unlimited specialty includes a hibiscus tea with vodka, St. Germain liqueur and sparkling wine. Creatively served drinks are also popular. Some favorites include milk in milk cartons, and utilizing Moscow mule mugs and mason jars for other beverages. 4. Dessert – When it comes to sweet treats, the biggest trend is creativity. 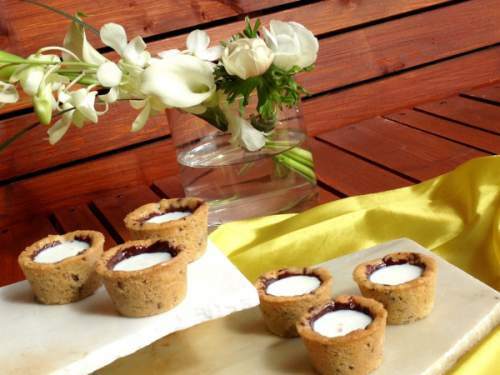 Cuisine Unlimited&apos;s most requested desserts include: The Chocolate Chip Cookie & Milk Shot - a classic take on milk and cookies where a shot of milk is served in an edible cookie shot glass. Edible Art Installationsutilize the food itself as an art piece. Colored cake pops may be used to create a picture or company logo that partygoers can literally take a bite out of. Mashups involve repurposing various breads. Yesterday&apos;s trend was the Cronut. 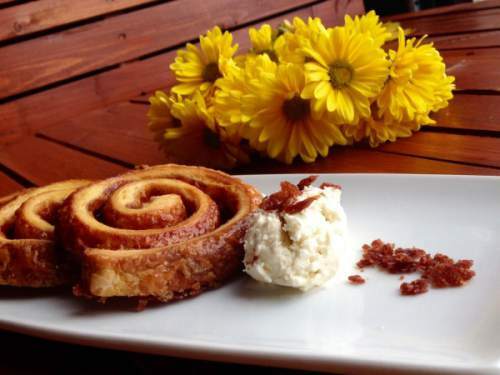 Today it&apos;s the grilled &apos;Crinnamon&apos; roll served with vanilla ice cream and caramel whiskey crunch. With your location set, your menu decided and your event thoroughly planned there are just two things left to ensure your party is a huge success. The fist is to get out your cell phone, because incorporating social media into the dining experience is the latest party trend that includes pinning, posting, tweeting and hash-tagging your way to great prizes.